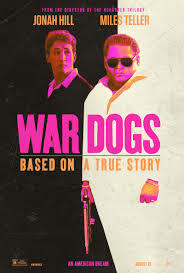 Many people went into this movie expecting a crazy Wolf of Wall Street level comedy because Jonah Hill and Miles Teller seem like the perfect pairing to recreate that level of insanity. The movie doesn’t quite reach that level of ridiculousness, but comes pretty close, and does not necessarily leave anyone disappointed. Ultimately, the movie succeeds on good acting (sidenote, Jonah Hill’s laugh is incredibly obnoxious) and a solid plot based on a true story. Director Todd Phillips, known for directing the Hangover movies as well as Old School, does a great job of taking his experience in comedy and bringing it to a movie that very well could have simply been an action movie if done just a little bit differently. Of course, Jonah Hill is on top of his game, making everything funnier than it actually is, giving the movie ninety percent of its comedic feel. Miles Teller is funny at times as well, but his performance, along with Bradley Cooper’s, brings a more serious edge to the movie. Phillips does a good job balancing these aspects, but what was especially impressive was that he was able to keep the focus of the movie pretty serious. Sure, almost all of scenes from the film had comedic value, but the underlying tone remains serious, telling the true story of two guys who end up in business with the US Government, in the middle of the Iraq War. (8/10). The Nice Guys was a fantastic movie. Although they seem like an unlikely pairing, Russell Crowe and Ryan Gosling work on screen together extremely well. They were both incredibly funny and gave the movie a great comedic side, but kept the movie serious enough for the action scenes and overall plot to pan out in just the right way. The story is pretty crazy, with plot twists and character developments that are usually totally unexpected. Director Shane Black does an excellent job of integrating characters at just the right moments, making the storyline come together with crazy twists and turns. 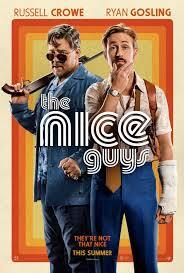 Where lots of movies similar to The Nice Guys have a bit of trouble is when they focus too heavily on comedy or action in the plot, and not enough on character development. There is a surprising amount of development with the main characters, and the story actually goes pretty in-depth into exploring their lives. This is actually a necessary part of the plot, and plays perfectly into the storyline of the movie. Both Crowe and Gosling do excellent jobs of playing two very different detectives, offering a much deeper character portrayal than almost any other movie in the genre. This really was an excellent movie, with practically no flaws. (9.5/10). 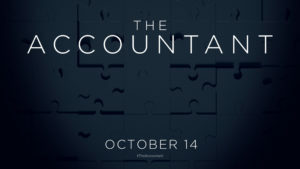 Hitting theaters nationwide on October 14th, The Accountant features Ben Affleck as, unsurprisingly, an accountant. He seems a little awkward, usually operates on his own, and also works for some of the most dangerous criminal organizations in the world. Clearly, he is not your average, everyday accountant. From the previews that have come out so far, the movie itself looks fairly intense. Affleck’s character’s dealings with these criminal organizations combined with his efforts to keep up the appearance of a normal life should make for a volatile mix, and give the movie a good amount of action. If co-star Anna Kendrick can pair up well with Affleck on screen, this movie could end up as one of the top films of the year. 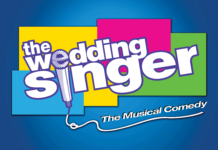 The supporting cast is impressive as well, featuring Jon Bernthal, J.K. Simmons, and Jeffrey Tambor. Overall, this movie should be fun to watch, as long as Affleck and Kendrick have strong performances, and show good on-screen chemistry. 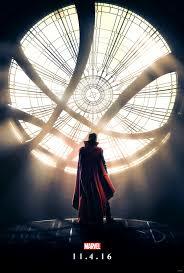 Marvel’s latest project, Doctor Strange, will hit theaters on November 4th nationwide. Played by Benedict Cumberbatch, Doctor Strange was originally a neurosurgeon who sustained injuries during a horrible car crash. The injuries affected his hands, and this is what kicks off the movie. He looks for somewhere to heal, and finds a place that after traditional medicine fails him.